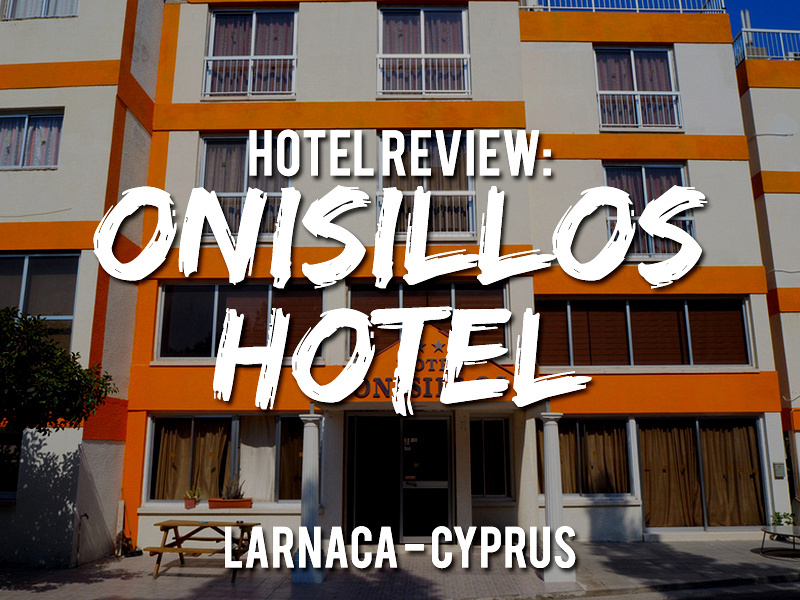 I stayed at the Onisillos Hotel in Larnaka, Cyprus. Even though it’s a hotel they also offer dorm room options, and that’s what I booked. I was in a 2-bed dorm for €28 a night. 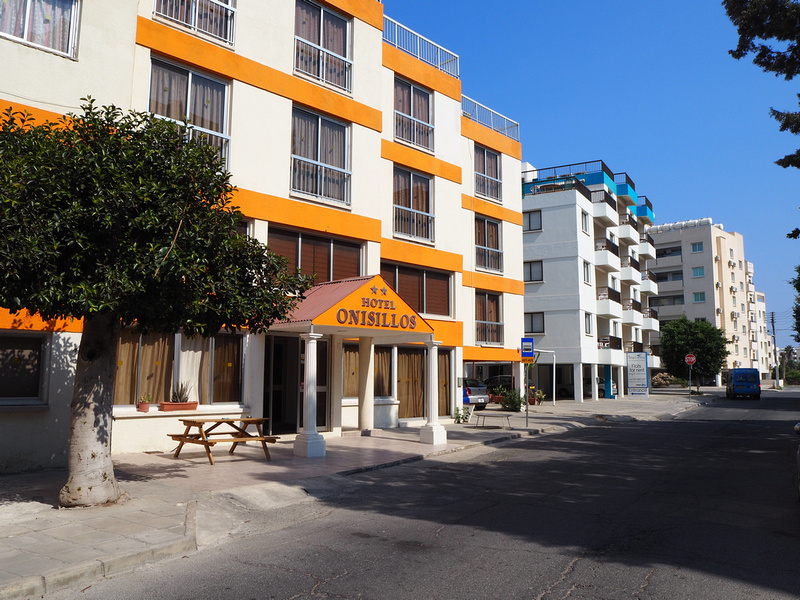 The hotel is named after Onisillos Street, which is in a residential area about ten minutes walk from the old city beach area. The “dorm room” was just a twin bedroom. I don’t recall ever staying in a hostel with only two beds. I thought it would be awkward if I didn’t like the guy, but my room mate turned out to be good. Basically it was just splitting costs with a stranger on a hotel room. The room itself was good and the bed was comfortable. There was air conditioning and everything was in working order. The one let-down was the lack of power outlets. 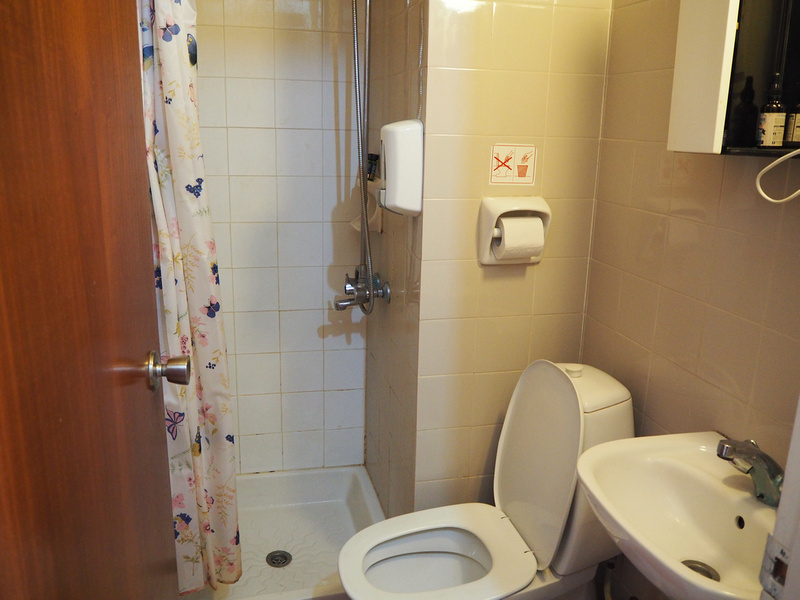 There was one power outlet for the whole room, which is not very useful for modern travellers. The bathroom was small but in good condition. It could have used some hooks and a shelf to place things. There is free wifi at the hotel, but it’s only in the lobby. As a result the lobby was filled with people throughout the day staring intently at their mobile phones. I don’t usually book places that don’t have in-room wifi, so I must have overlooked this when booking. There is a breakfast service for €4, though I was gone too early to try it. There is a laundry service available for €4 for washing and drying. Another location bonus of the hotel is that it’s next to the bus stop for the airport. The 425 bus stops in front of the hotel and starts at 6am, so this is useful of you have an early flight. Overall I enjoyed my stay here despite the lack of wifi in my room. 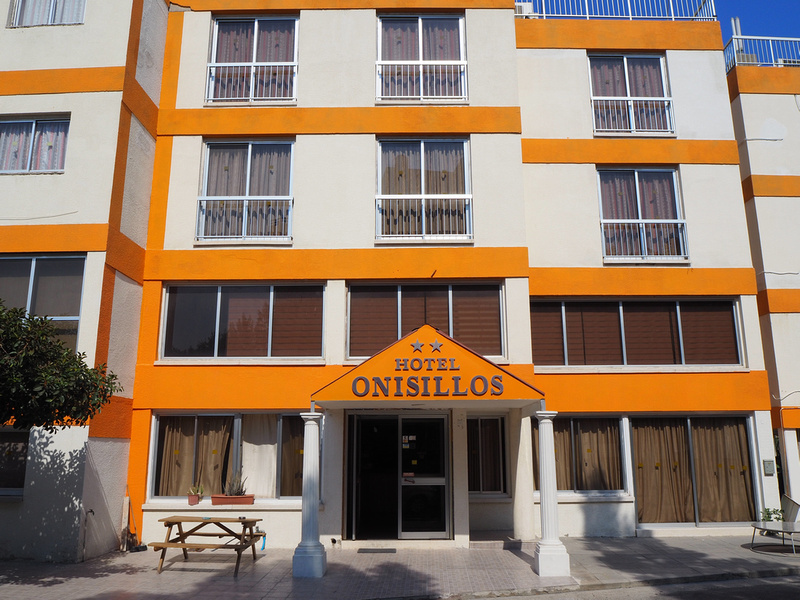 Book the Onisillos Hotel online or search for more hotels in Larnaca. Another alternative is to try Airbnb. 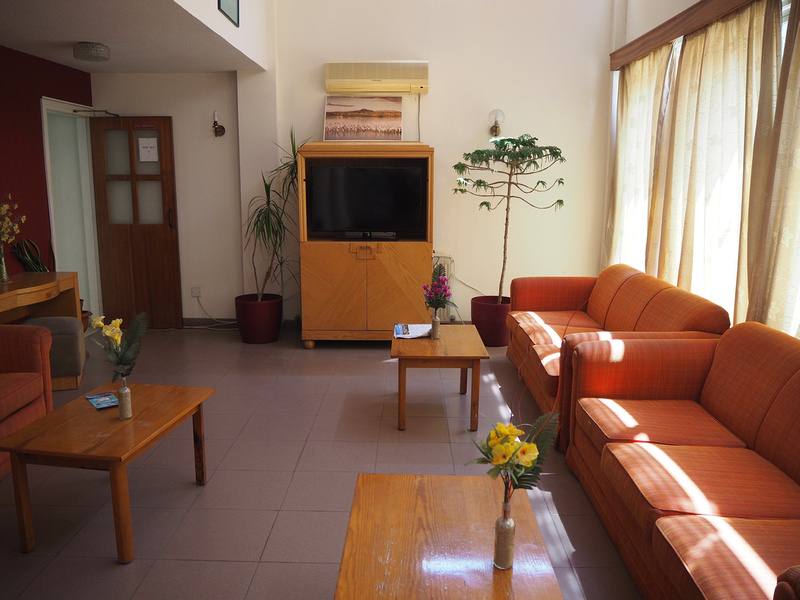 Here is my review of staying in an Airbnb apartment in Larnaca.